Although he did not confirm the name of the handset — which might be the Xiaomi Mi 9 — Lin Bin has recently shown a teaser of a 48 MP camera phone. If no other Chinese brand that often goes for the "first one to release" crown — such as Oppo or VIVO — launches such a handset first, the Xiaomi Mi 9 could become the first 48 MP handset. Ready or not, the first 48 MP phone is coming. For now, we have no idea about the brand that will manage to bring it to the market, but — if nobody else is faster and the rumors turn out to be accurate — the Xiaomi Mi 9 will be the first handset to launch with such a generous main camera resolution and could arrive in the first weeks of 2019. Samsung unveiled the first 48 MP ISOCELL sensor a few weeks ago, but it would not be surprising for some Chinese underdog to bring it to the market inside a handset at least a few months before the South Korean behemoth. 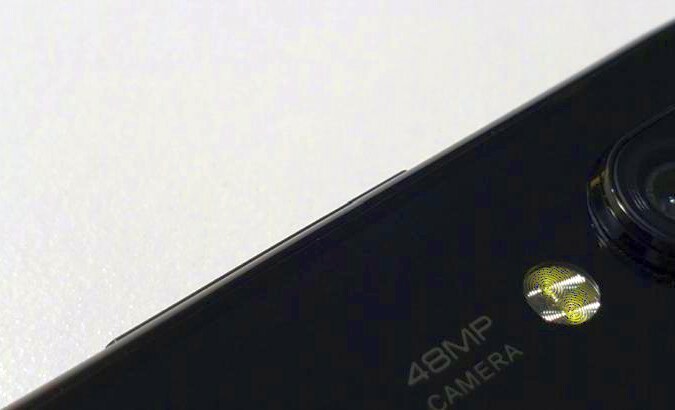 Xiaomi's president has recently shown a teaser image that contains a close up of a 48 MP camera handset. Other details available? None for now, unfortunately. While more megapixels does not always mean better image quality, remains to see if the 48 MP Xiaomi phone will be able to deliver better results than the 40 MP tri-camera setup of the Huawei P20 Pro and Mate 20 Pro. Would you bet on the Xiaomi Mi 9?